The ‘Postcolonialism in Interdisciplinary Perspective’ conference will create a platform for postgraduate students to discuss emerging concerns within Postcolonial Studies across a range of geographic and disciplinary boundaries, including Area Studies, History, Literature and Cultural Studies. This one-day event, which will be hosted at the University of Birmingham, will provide postgraduates with an interdisciplinary forum for networking, collaboration and information exchange, as well as an opportunity to share and receive feedback on current research in a friendly setting. It will also provide postgraduates with the opportunity to become aware of state-of-the-art research by experts in their field and to orient their own work within this context. The following list of topics is not exhaustive, but has been conceived to provoke thought and to indicate the aims of the conference. Relevant papers that do not address these themes are also welcome. Panels will be organised once abstracts are received and accepted for the conference. Abstract Submission Guidelines: Please send abstracts of no more than 300 words to postcolonialmidlands@gmail.com using the subject heading “Abstract 2017”. Please include your university affiliation details, relevant contact information and a short biography of up to 150 words. Those selected for the conference will be invited to give a 20-minute presentation. 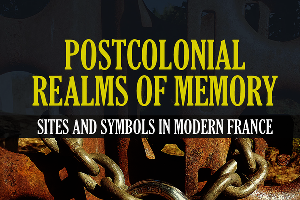 We invite papers that interrogate the intersections between memory, migration, and decolonisation across the Caribbean and its diasporas. The conference seeks to explore how ideas about decolonisation have resonated in the Caribbean, the Americas, and Europe. We take Haitian independence (1804) as a thinking point for debates surrounding concepts of independence, colonialisms, and freedoms. We welcome papers that explore contemporary practices of neo-colonialism and resistances to them as well as issues of formal ‘decolonisation’. We will develop themes of decolonisation by moving beyond any set discipline: we are particularly interested to hear proposals from artists, curators, musicians and community activists, as well as scholars. As part of an ongoing oral history project, this conference will feature a community-led public engagement activity that focuses on the lived experiences of decolonisation and migration amongst members of Britain’s Caribbean diaspora. Visions of a post-colonial future. In association with AHRC Translating Cultures Theme. From the Tennis Court Oath to Nuit Debout, work and play have been instrumental in organising socio-political life in the French Republic. Culturally too, work and play are formative of identity, inviting reflection on the power relations at stake in the construction and deconstruction of identities. 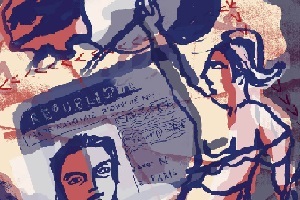 Inviting proposals for papers on this theme, this conference seeks to bring together a broad range of disciplinary approaches to consider theories, representations, practices and interconnections of work and play in France and the rest of the French-speaking world. Traversing sociological, political, anthropological as well as aesthetic and cultural spheres, the conference theme is intended to stimulate debate across a far-reaching horizon of enquiry. We invite both proposals (250 words max.) for individual papers and for panels, which should consist of three presenters and a named chairperson. All papers will last 20 minutes and may be delivered in English or French. Postgraduate students are strongly encouraged to present papers. A publication connected with the theme of the Conference is planned. Proposals for papers, featuring abstracts of up to 250 words in either English or French, should be sent in Word format (doc. or .docx) to asmcf2017@bangor.ac.uk by 31 March 2017. Please put ASMCF 2017 proposal in the subject line of your e-mail. The editors of French History seek articles for a special issue on the theme of “French Colonial Histories from Below” to appear in autumn 2019. Concern with the “subaltern” has long been central to colonial historians, while scholars working in the newer fields of world or global history have shown the power of writing history “from the bottom up” to shed new light on large-scale historical phenomena, including empire. In addition to making the complexities of empire legible, especially to students and non-specialists, such approaches also have the potential to illuminate the connected or entangled nature of colonial histories, and the ways that they were experienced and shaped by individuals and local communities across the French empire. Proposals exploring “bottom-up” approaches to any aspect or period of French colonial history, including the postcolonial, are welcome. The editors are interested in submissions that focus on particular colonial territories but equally with articles that take transnational approaches or consider metropolitan France as an imperial space. Although we expect most of the published contributions to be based on primary source materials, we also welcome theoretical and methodological articles that consider the opportunities and challenges, intellectual and practical, associated with writing colonial and postcolonial histories from below. The editors particularly encourage submissions from early career researchers and scholars from under-represented groups. Full manuscripts of 8000-10,000 words (including references), in either English or French, should be submitted by 1 September 2017 to the guest editors of the special issue, Claire Eldridge (c.eldridge@leeds.ac.uk) and Jennifer Sessions (jennifer-sessions@uiowa.edu). Any enquiries regarding potential contributions should also be addressed to the guest editors. Job Purpose: To make a (leading) contribution to the project: ‘Africa’s Lost Classics’ in Context, working with Dr Lizelle Bisschoff. Specifically, the job requires expert knowledge in the area of African cinema. This post is part time, 16.7 hours per week, and is fixed term until 31 January 2018. Closing date: 6 March 2017. Interviews will take place on 20 March 2017. The Department of Modern Languages in the School of European Culture and Languages at Kent is seeking to appoint a Lecturer in French with expertise in any field of French language, literature and culture. You will be able to demonstrate an outstanding research profile commensurate with your career stage and the ability to teach on a range of modules in the Department’s French programmes, including both cultural content and language modules. In this role, you will be expected to develop new modules in your area of expertise and to be an enthusiastic and inspiring teacher. Moreover, you will be able to contribute to the Department’s increasing ambition and international standing in terms of high-quality research (Modern Languages and Linguistics at Kent being one of the highest-ranked departments in the UK at REF2014), and to be a dynamic colleague capable of working effectively as part of a team. A commitment to public engagement and impact activities would be an advantage. The School of European Culture and Languages is a multidisciplinary school and one of the largest at the University of Kent. Comprising six departments, the School embraces Classical and Archaeological Studies (including Ancient History), Comparative Literature, English Language and Linguistics, the Modern Languages (French, German, Hispanic Studies, and Italian), Philosophy, and Religious Studies, as well as programmes in Asian Studies and World Literature. To view the full job description and to apply for this post, see: http://www.jobs.ac.uk/job/AXO274/lecturer-in-french/. If you require further information regarding the application process please contact Teresa Bubb at T.C.Bubb@kent.ac.uk. This third and final workshop in the ‘Ethics, Affect and Responsiblity: Global Citizenship and the Act of Reading’ will take place on 24 March 2017 at the University of Bristol. With the theme ‘Literature and the Humanities in the Age of Autocracy’, sessions will focus on literature as a site of resistance; affect, empathy and social justice under a state of emergency; authoritarianism and revolutionary thought; and literary activism through publishing. We are particularly delighted that Professor Derek Attridge (York) will be giving a keynote lecture on the writing of J.M. Coetzee and challenges to philosophical ethics. Other confirmed speakers include Dr Carolyn Pedwell (Kent), Professor Radhika Mohanram (Cardiff), Dr Joe Ford (Durham), Dr Charlotta Salmi (Birmingham) and Dr Micheal Burns (UWE), and Annie Webster (SOAS). The event will conclude with a public poetry reading. The workshop is free and open to all. To register, please email Dr Madhu Krishnan (madhu.krishnan@bristol.ac.uk) with your name and any access or dietary requirements by 17 March 2017. In the eighteenth century, the Cul de Sac plain in Saint-Domingue, now Haiti, was a vast open-air workhouse of sugar plantations. This microhistory of one plantation owned by the Ferron de la Ferronnayses, a family of Breton nobles, draws on remarkable archival finds to show that despite the wealth such plantations produced, they operated in a context of social, political, and environmental fragility that left them weak and crisis prone. Focusing on correspondence between the Ferronnayses and their plantation managers, Cul de Sac proposes that the Caribbean plantation system, with its reliance on factory-like production processes and highly integrated markets, was a particularly modern expression of eighteenth-century capitalism. But it rested on a foundation of economic and political traditionalism that stymied growth and adaptation. The result was a system heading toward collapse as planters, facing a series of larger crises in the French empire, vainly attempted to rein in the inherent violence and instability of the slave society they had built. In recovering the lost world of the French Antillean plantation, Cul de Sac ultimately reveals how the capitalism of the plantation complex persisted not as a dynamic source of progress, but from the inertia of a degenerate system headed down an economic and ideological dead end. Dans la foulée des débats épineux et interminables sur l’avenir des littératures francophones dans le monde, le binôme d’antan culture supérieure/culture inférieure n’a plus sa place dans les discours culturels et démocratiques modernes. Lesquels discours vont jusqu’à considérer la francophonie comme « le dernier avatar de colonialisme ». Pour pouvoir bannir ces préjugés, l’urgence d’une littérature Monde en français demeure un choix pressant et privilégié. Dans cette perspective, pourquoi continuer à parler au Québec de la littérature marocaine d’une manière timide et isolée en la considérant toujours comme source seconde par rapport à la source première locale ?